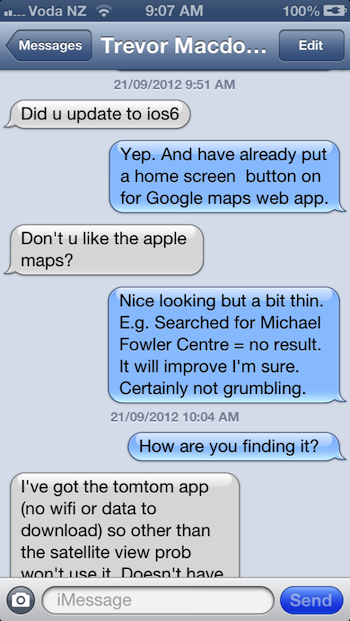 Apple’s iPhone Maps application (in iOS6) was delivered half-baked. That seems obvious. 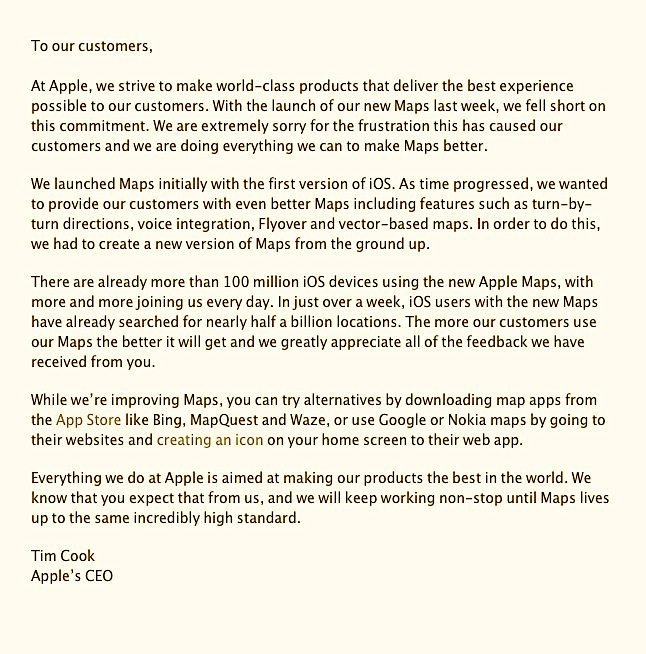 Here’s Apple CEO Tim Cook apologising for (shock, horror) ‘the debacle’. Good on him. Will it pull the sting? * “Best interface, fed by the worst data” Chris Keall at NBR called it. Another way of saying I use to be a Idiot and was embarrassed, and they became successful and I can now brag. But you were still an idiot. Let’s refrain from insulting each other, shall we? 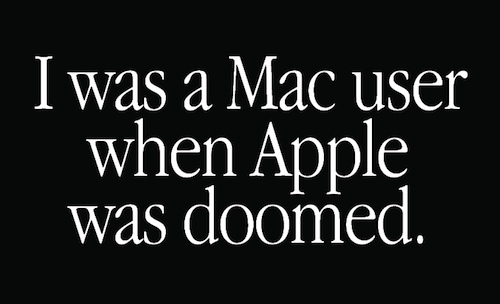 I bought my first Mac new in 1990 – a Mac Classic. Before that I could not believe my luck that as a student at Victoria University I was able to borrow a dual floppy drive SE 40 for the holidays for just a few dollars. The university would effectively lend out the machines from a computer lab. I was stoked. 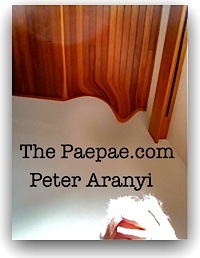 I also had a workmate, Peter Abernethy, who let me use his Mac Plus with external floppy hard disk drive — he lived just around corner from me — I lived at Owhiro Bay, on the South coast of Wellington. That’s been my experience. I’m now happily using a current model MacBook Pro (plugged into a 23″ display a lot of the time) with the current version of OSX 10.8.2 Mountain Lion. It is, I feel, the best system I could choose for my own use and standards. Through that time, for personal handheld devices I used a Psion Series 3a, then Series 5, a Palm Tungsten, and a Sony Ericsson PE901 — all were pretty well regarded and worked well enough. But when the iPhone 3G became available I bought one. On launch day. Fantastic. 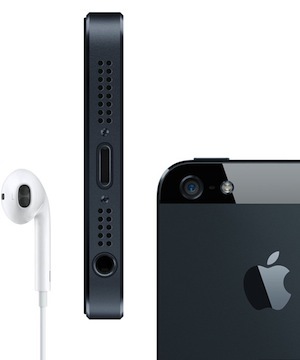 My current handheld device, the iPhone5 (also acquired on launch day) is an evolutionary step and even better, so far, in terms of hardware and software (iOS6). Perfect? No. So what? This is just my experience, and informs my conclusions and my views.